More details due out at a later date. 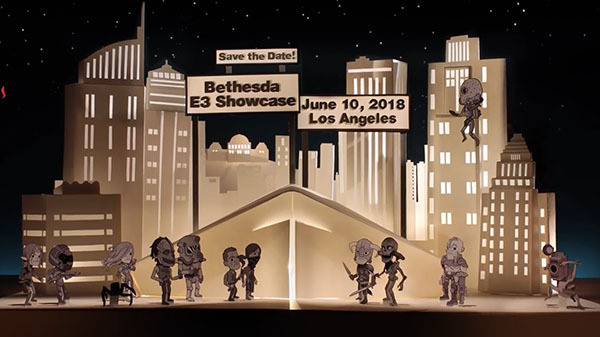 Bethesda Softworks will hold its E3 2018 showcase on June 10 at 6:30 p.m. PT / 9:30 p.m. ET, the company announced. The showcase will be live streamed on Twitch, YouTube, Twitter, Facebook, and Bethesda.net. Additional details about the event will be announced at a later date. Watch a promotional video for the showcase below.